Set along the palm tree-lined streets of world-famous Rodeo Drive, the Vacheron Constantin Beverly Hills boutique is located at 365 North Rodeo Drive in the city of Beverly Hills, California. Both historical and elegant, the boutique's setting keeps with Vacheron Constantin’s rich history and high level of sophistication, welcoming watch enthusiasts and collectors from around the world. The rich and elegant architectural and decorative details highlight the quality of craftsmanship, sophisticated level of refinement, and high level of finishing of the timepieces on display. Custom crafted limestone flooring is complimented by sleek showcases and walls finished in fine Venetian plaster. 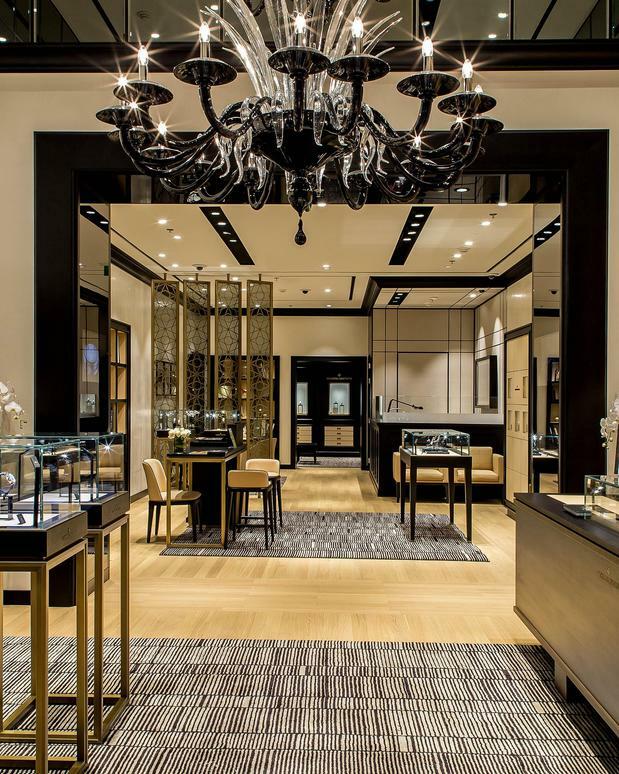 Two custom-made Murano crystal chandeliers grace the center of the boutique, and warm wood paneling adds to the elegance and refinement of the décor. The decorations create an environment of refined elegance and invite clients to appreciate the culture, history, and tradition of both Beverly Hills and the excellence that defines Vacheron Constantin. The boutique offers the unique experience of a watchmaker on-site, welcoming watch enthusiasts and collectors alike.